I'm typing this from an apartment in Brooklyn. We've been staying with Bobby's friend Nikki, as we get ready to get on our boat. We arrived here night before last on a train. We will not, at any point in our trip from Fort Collins, Colorado, to Tirana, Albania, be on a plane. Here are our travel plans, in map form! We've already completed the first leg of the trip: a two part train ride. Denver, CO, to Chicago, IL, a 6 hour layover in Chicago, and then Chicago to New York's Penn Station. We got on the train Monday, July 30th in Denver at 7:30 p.m., hit Chicago at 3 p.m. the next day, got back on the train at 9:30 p.m. that night, and rolled into New York at 6:30 p.m. on August 1st. Altogether, for two days of train travel, it was painless. We're Amtrak veterans, though, and we genuinely enjoy trains, so that definitely helps. We also made some great friends on the train, too, and that's always a bonus. 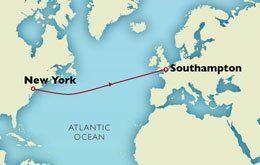 The next part of our trip starts today, when we get on the Queen Mary 2 bound for Southampton. This has been on my bucket list for almost 6 years, so I'm over the moon. 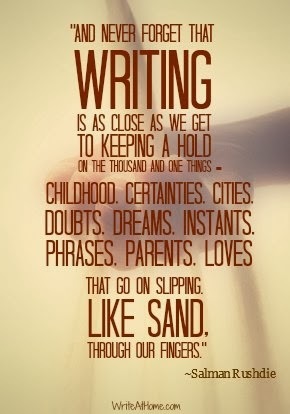 That will take us about a week. Once we land we'll be in London for 4 days. 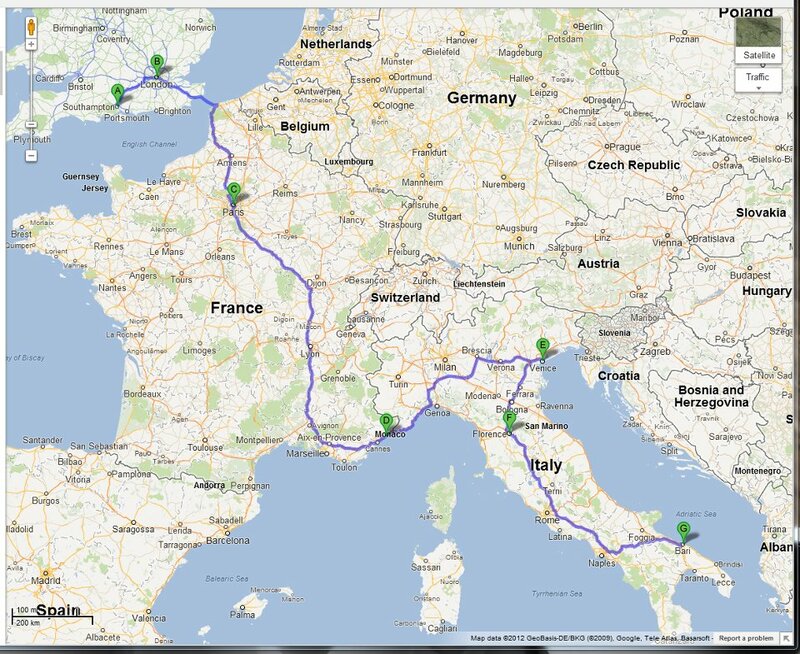 After London, we have 16 days to divide between France and Italy. Right now we're thinking Paris and Nice in France, and Venice and Florence in Italy. That will get us to Bari, Italy, where we board an overnight ferry (11 p.m. to 7 a.m.) to Durres, Albania. From there we'll either take a 30 minute bus ride or an hour train ride to our final destination- Tirana, Albania. Why all the boats and trains, and no planes? Is this some ironic hipster steampunk rejection of technology? 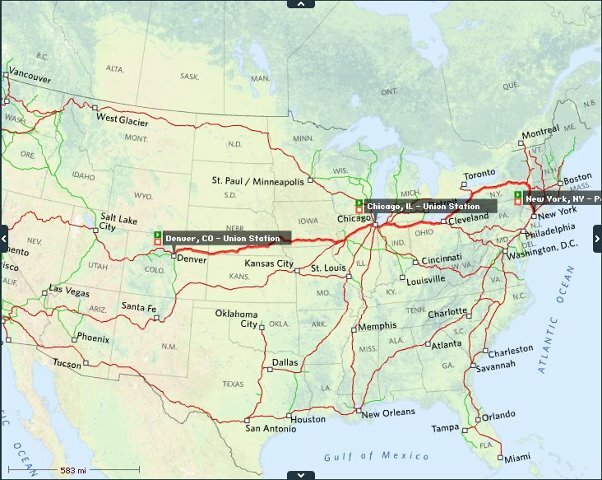 Basically we love trains, we have the time, the transatlantic was on my must do list, and lastly it's just kind of ridiculous and fun and why not? I hate planes (this is legendary) but I get on them anytime I need to. But since I didn't need to, hey, I'm not complaining. 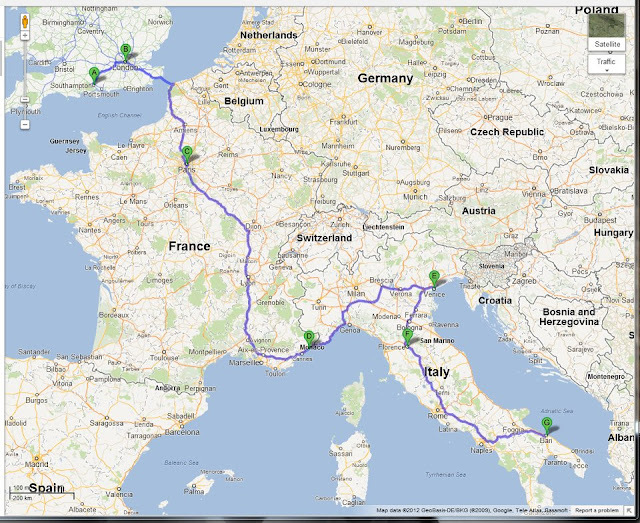 We also wanted to take advantage of needing to move to Albania by turning it into a huge trip, because, again- why not? Once we get to Albania most of our travel will be limited to trains/buses/ferries, and of course we'll both be working, so it will be our real life, just in Albania. We wanted to travel while we could, and so far, it's been great. Once we get on the boat this afternoon, posting will be spotty. I will probably end up just doing a huge backlog of posts once we hit Tirana. For now, we're in Brooklyn and there is delicious food to be eaten. See you on the other side of the Atlantic! This sounds eerily similar to Scott's plan! !